Join The Escapist for its first-ever convention September 14th-16th in Durham, NC! This fall, The Escapist is launching its first annual Escapist Expo, a premier consumer convention centered on game culture. From September 14th to September 16th, Expo will unite fans of videogames, tabletop games, science fiction, fantasy, comics, music and more in a celebration of everything great in multi-media escapism. 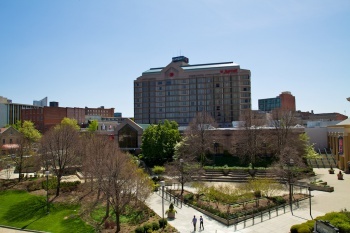 Over the course of three days, The Escapist will take over the Durham Convention Center in North Carolina to provide Expo attendees with an assortment of fun events, such as Chest High Walls outdoor laser tag, and popular live-action event game Humans vs. Zombies. We'll also be hosting numerous industry panels, allowing the community to interact with popular developers, authors, reviewers, and other experts including the Escapist's own Ben "Yahtzee" Croshow of Zero Punctuation fame. Attendees can also expect classic arcade games, movies, Magic: The Gathering tournaments, interesting exhibitors, and more. Registration for Expo is currently open, with 1-Day Passes available for purchase at $15.00 each, and complete 3-Day Passes at just $30.00 with additional discounts available for students and members of the military. Registration details and other information about this year's Expo can be found at the event's website, www.escapistexpo.com.